Need more Hollow Knight? Your wish has been answered, as more free content is heading to this incredibly stylish side-scrolling action-packed platformer. 4 new charms, although they're being light on the details. They've at least shown off the icons for them, any guesses? 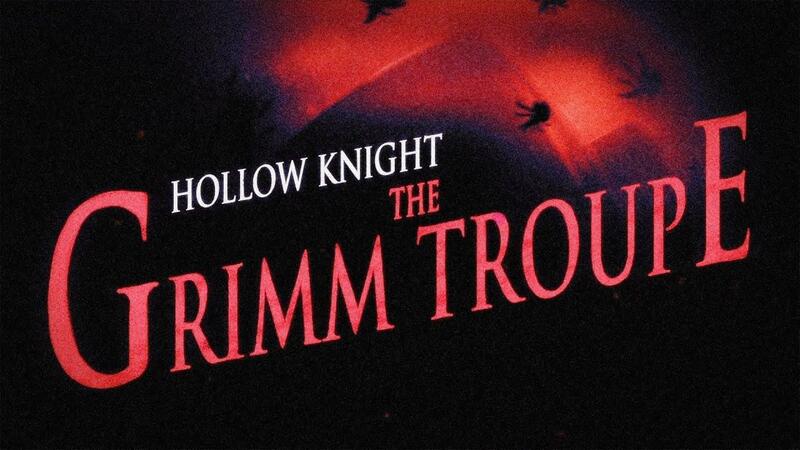 They will also add in a major new quest, enabling you to summon the Grimm Troupe to Hallownest, if you're feeling brave that is. They say you will end up taking part in a twisted ritual and bestows you with a powerful new ally. There will be new boss fights, because why not? The fights in Hollow Knight are already difficult and diverse, so to see more added in for free is a rather tasty bonus. Bosses aren't the only new addition, as there will be new smaller enemies to fight too. By far the best new feature coming, is the ability to set map markers. Getting lost might become a thing of the past, as they will let you add custom markers to your map for somewhere you want to ignore for now, or perhaps something of interest you desperately want to return to later? They are also adding in new languages for Russian, Brazilian Portuguese and Japanese, enabling more lovely gamers to enjoy this incredible game. I assume it will release at the end of October, for Halloween, although they haven't given a specific date that I could see. The problem for me is, having finished the original game, I now feel like waiting until they release all the new content before playing again! This game is an absolute must play if you haven't already. Incredible game. Wont fix the bad level design. By 90s gaming standards Super Metroid level design still ranks way higher. I mean maybe some people are okay with running rediculously far across the map and the bad spacing of the saves. Also Im not a fan of the map only being updated on save or buying map pieces just to give money a purpose. ElectricPrism Wont fix the bad level design. Thats your own opinion. I think is's a gem. Wanted to replay this anyway, now there's a good occasion. Thanks Team Cherry. The previous Hidden Dreams update added a teleportation skill. Of course you'll have done a fair bit of running back and forth before you get your hands on that upgrade. Too bad you feel that way. For me it was one of the very best games I have played in the last year or two.